Harrington Nature Reserve is hosting an open day on Saturday 8 September, 12pm – 3pm. The event has been organised to celebrate the completion of the nature reserve’s restoration and as a ‘thank you’ to the community and volunteers who have supported the development. The open day will include a variety of family friendly activities including face painting, crafts, and a bird of prey and small animal display. Visitors can also learn more about the nature reserve’s wildlife by taking part in pond dipping, nature detective games, and nature trails. Sue Hayman MP will officially open the nature reserve at 1pm with a ribbon cutting ceremony. 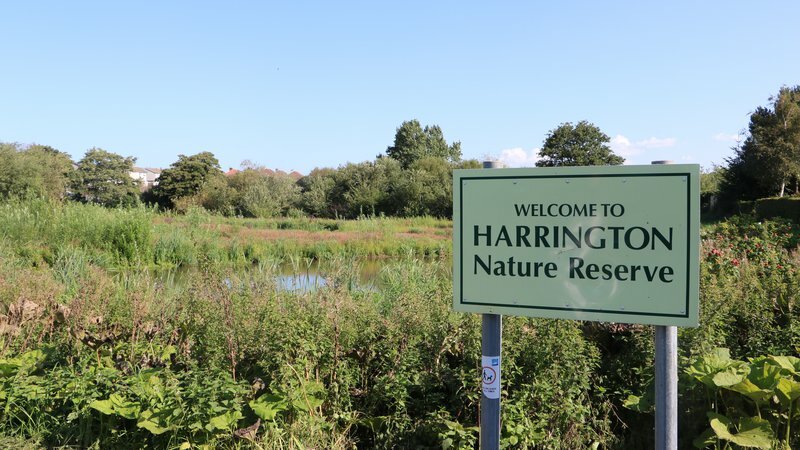 Harrington Nature Reserve has been transformed by a major restoration project that has included de-silting of the pond and the creation of water management features. This extensive work has not only made the site more attractive but will also prevent further silting-up and encourage more wildlife into the area. The work was coordinated by Workington Nature Partnership. Funding for the £182,000 project has been provided by Allerdale Borough Council, Workington Town Council, the WREN Community Fund, E.ON (via the Robin Rigg Community Fund) and the Tesco “Bags of Help” Scheme. The opening event has been organised in partnership by Friends of Harrington Reservoir, Allerdale Borough Council, Workington Nature Partnership, South Workington Nature Partnership and Workington Town Council.